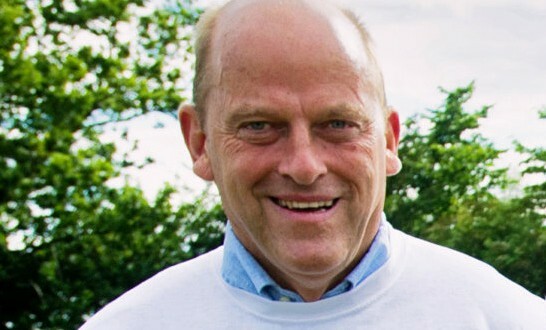 FORMER Clare hurling manager, Ger Loughnane has claimed that Podge Collins was not “half the player” in 2014 that he was in 2013. Speaking on RTE’s The Sunday Game last weekend, he attributed this to the 2013 All-Star playing football for his county in 2014. “You cannot maximise your potential. If you take even one of the stars of last year for Clare, Podge Collins; now why was he so good for Clare last year? Because any time he wasn’t training with the team, he was out on his own practising hurling, with maybe a hundred balls on his own hitting them from all over the field. Look at the way he played,” Loughnane said. “Now, this year, he does half and half and he ends up with nothing. He isn’t half the hurler he was last year. You can do it but how could you possibly be as effective if you just concentrate on one? Remember, all of the strong football counties, they will put the gun to the player’s head and say if you play hurling, you will not play football for the county. The hurling people have got to stand up and do the same thing and say from 15 or 16 onwards, if you concentrate on hurling we’ll give you all the attention and help we can. But if you don’t, better choose the football now,” Loughnane added. Questioned on whether Loughane’s comments were unfair to the Cratloe player, Clare GAA County Board chairman, Michael McDonagh, said he wasn’t going to get involved. Clare football manager Colm Collins. “I’m not going to go into that issue. I’m chairman of the county board and I’m not going to highlight Podge Collins or I’m not going to highlight anybody else because I think I wouldn’t be doing my job correctly if I was doing that,” he said. 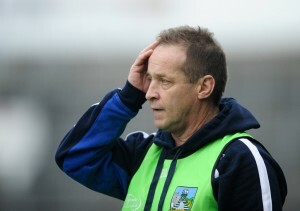 McDonagh confirmed the contentious dual player issue was not discussed when the board met recently with county hurling manager, Davy Fitzgerald, to assure him that they wanted him to continue in his role in 2015. Clare’s 2013 All-Ireland winning manager revealed on The Sunday Game that he had met with the board and that he was intent on remaining in his position for the remaining three years of his current agreement. “No, I have discussed dual player issues with nobody,” Michael McDonagh replied when asked was that issue addressed. “At the moment, it’s far too early. I’m going to meet all managers over the next month and start preparing for next year. I think the dual player issue has to be dealt with by each management team,” he said. The county chairman said the board will not be adopting a policy on dual players. Instead, they will leave it to the respective management teams to sort it out. 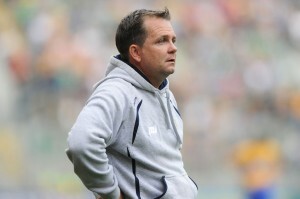 Clare hurling manager, Davy Fitzgerald. “I think in relation to senior level, I’m not going to tell Davy Fitzgerald or Colm Collins what to do in relation to dual players. I think what they’ve got to do is sit down and work together and they’ve got to decide do they want dual players or do they not want dual players. If they feel that dual players are not going to work for their squads, that’s fair enough, or if they feel that they will, that’s good. They’re old enough and long enough on the road to know exactly what they want to do to win Munster championships and to win All-Irelands,” McDonagh asserted. Furthermore, he said that underage dual players must make up their own minds on whether they want to play hurling and football for Clare. “As regards dual players at minor and U-21 level, we will have to talk to the players and their families and we will have to take everything into account, including their education, whether they are in secondary school doing the Leaving Cert or whatever. “I think we will have to work a plan out with the players themselves and with their families. It’s very easy to say that we can have dual players or we can’t have dual players but my opinion is that if you want to get the best out of players going forward, you have to put a plan in place for each player. “Every player is different. I think that’s the way we have to go forward with that. I think with educational commitments, with football and hurling commitments, some players are making decisions. You have to take every case as a single case and work with it that way,” he concluded.